Throughout business school and a career in banking, Contact Fund founder Mark Reed remained intrigued by his earlier work in community development. He believed community development corporations, social service organizations, and other neighborhood based economic development organizations provided low income individuals and families with real opportunities for self-sufficiency. A family business liquidity event in 2005 provided the capital to establish a loan fund dedicated to NYC nonprofits. Using his capital as equity and borrowing against it from friends and family, Mark employed traditional credit analysis methods to lend to NYC nonprofit organizations. Use of debt requires a financial discipline that can foster a level of organizational sustainability. Ultimately, Contact Fund is based on a very straightforward concept: private investors would be willing to invest their capital in local NYC neighborhoods while also receiving a financing return if there was a simple, low risk way to do it. Contact Fund is committed to fostering a community of private investors who share similar values. Since 2005, Contact Fund has raised more than $5 million in additional capital from individual investors. Contact Fund made its first loan to Acción - New York in 2005 and has since made 23 other loans. To date, Acción - New York, Asian Americans for Equality (AAFE) – Community Development Fund, Women's Housing and Economic Development Corporation, Local Initiatives Support Corporation NYC The Lantern Organization, Green City Force, and the Disability Opportunity Fund have repaid their loans in full. In February 2013, Contact Fund and SeaChange Capital Partners formed an alliance to enable better access to mission-driven capital for New York City’s frontline nonprofits working in low income neighborhoods. Contact Fund’s portfolio, investors, and governance remain intact while SeaChange provides strategic and administrative support in executing Contact Fund’s plan. Together, SeaChange and Contact Fund have formed a second pool capital oriented to large foundations making Program-Related Investments in New York City. In February 2013 Contact Fund and SeaChange Capital Partners formed an alliance to enable better access to mission-driven capital for New York City’s frontline nonprofits working in low income neighborhoods. Contact Fund’s portfolio, investors, and governance remain intact while SeaChange provides strategic and administrative support in executing Contact Fund’s plan. Together SeaChange and Contact Fund have formed a second pool capital oriented to large foundations making Program-Related Investments in New York City. For additional information on this effort, please contact SeaChange Principal John MacIntosh (jmacintosh@seachangecap.org). John leads SeaChange Capital Partners with overall responsibility for grant-making, credit, and advisory services. He also explores new ways that SeaChange might help nonprofits explore or complete sensible transactions while at the same time offering attractive, leveraged opportunities for funders. 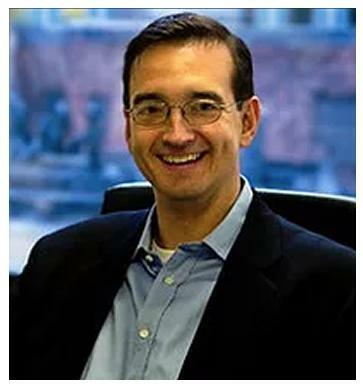 Prior to joining SeaChange in 2008, John was a partner at Warburg Pincus in that global private equity firm’s New York, Tokyo, and London offices. At Warburg Pincus, he was responsible for overseeing the firm’s expansion into several new international markets and industry segments, designed the firm’s investment performance and measurement system, was co-head of professional development, and served as a director of 16 portfolio companies. John remains involved with Warburg Pincus as a limited partner. Earlier in his career John worked as a software engineer in Tokyo and a management consultant at Oliver Wyman. John did a mid-life masters in philosophy at the London School of Economics. At the same time, and in conjunction with Lord Richard Layard of the Centre for Economic Performance (at the London School of Economics) and Dr Martin E.P. Seligman of the Positive Psychology Center at the University of Pennsylvania, he coordinated a three-year program in resilience-building and depression prevention for more than 3,000 children across 25 middle schools in the United Kingdom. John has a BSE from Princeton University and a MSc in Philosophy and Public Policy from the London School of Economics. In conjunction with his role at SeaChange, he serves as an observer on a number of nonprofit boards (or finance committees) and is also an equity investment advisor to MicroVest Capital Management. John lives in Brooklyn with his wife and four daughters. Jess leads SeaChange’s grant-making and advisory services activities. She is responsible for managing two funds, The SeaChange-Lodestar Fund for Nonprofit Collaboration and The New York Merger, Acquisition, and Collaboration Fund, which each make grants to support nonprofits that are exploring or planning collaborations (mergers, acquisitions, joint ventures, administrative and programmatic partnerships, etc.). In addition, Jess assists nonprofits in analyzing and developing financial strategies to refine their business models, including scenario planning for growth, risk assessment, and restructuring. Prior to joining SeaChange, Jess was an Associate Director at CCS Fundraising, where she created and executed fundraising strategies for some of the largest nonprofit organizations in the United States. Before her transition to the nonprofit sector, Jess spent six years at Credit Suisse, the first two years working in Leveraged Finance sales & trading and the last four years in investment banking as Vice President in the Client Strategy Group, where she was responsible for developing global coverage strategy for a portfolio of 50 of the firm’s most important clients across all lines of business and geographies. Jess is a proud native New Yorker (Let’s Go Mets!) and graduate of Cornell University. Nadya K. Shmavonian is Director of the Nonprofit Repositioning Fund, and a partner at SeaChange Capital Partners. The Repositioning Fund is a pooled fund of nine philanthropic partners that encourages and supports mergers and other types of formal, long-term strategic alliances and restructuring opportunities among nonprofit organizations. These efforts can range from voluntary back-office consolidations, to programmatic joint ventures, to mergers and acquisitions. The Fund seeks to have catalytic impact on the capacity, effectiveness, and financial health of the Greater Philadelphia nonprofit sector. Nadya served as president of Public/Private Ventures (P/PV) from January 2010 – July 2012, where she presided over the closure of the organization. Nadya has extensive foundation management experience, having served as vice president for strategy at the Rockefeller Foundation, and executive vice president at The Pew Charitable Trusts, where she also worked as director of administration and as a program officer in health and human services. Before joining the foundation community, she worked in the health sector, as well as overseas in humanitarian relief, both of which she has continued to address during the almost three decades she has spent in and around philanthropy. Nadya serves on the Boards of the Greater Philadelphia Cultural Alliance and Philadelphia Youth Basketball, and recently retired from the board of the Center for Effective Philanthropy and stepped down from the Lenfest Foundation board. She helped found and served on the board of The Alliance for A Green Revolution in Africa (a joint partnership of the Rockefeller and Bill and Melinda Gates foundations), as well as the Partners for Seed in Africa Fund, an initiative for South Sudan supported by Howard Buffet. She has served on the Advisory Boards of the National Philanthropic Trust and the Center for Refugee and Disaster Response at the Johns Hopkins Bloomberg School of Public Health. She was one of the first two non-family members of the Surdna Foundation Board, where she served for six years. She is an instructor at the School of Social Policy and Practice (SP2) at the University of Pennsylvania, where she teaches graduate seminars to SP2 and Wharton students on nonprofit governance, as well an international on-line governance course for the Center for Social Impact Strategy. Nadya holds a B.A. from the University of Chicago, and an M.B.A. with a concentration in health care management from the Wharton School of the University of Pennsylvania. She was awarded the Kathleen McDonald Distinguished Alumna Award from Wharton Women in Business in 2011. Taj manages SeaChange’s credit portfolio, overseeing Contact Fund and The New York Pooled PRI Fund, both of which lend to nonprofits working with and on behalf on low-income New Yorkers. Taj also works on select advisory services projects. Before joining SeaChange, she worked in JPMorgan Chase’s credit risk and emerging markets groups. Previously, as a Tamer Social Enterprise Fellow, Taj worked on building the business strategy and financial model of a fintech startup. She has also completed consultancies for nonprofits, most recently with Women’s World Banking, where she advised the organization on the launching of micropension products for low-income women in India. Taj began her career working at the fund of funds, Basel Asset Management. She holds a Master of International Affairs in Economic Development from Columbia University and a Bachelor of Business Administration in Finance from Baruch College. Diana joined SeaChange in 2017 as an Associate, splitting her time between managing SeaChange’s day-to-day operations, coordinating workflow among the various lines of business, and special program projects. She previously spent almost six years at WP Theater, starting as a general management intern and advancing to Business Manager, fulfilling various administrative roles on a total of seventeen productions. Diana has also worked in post-production and interned at such institutions as the Paley Center for Media, AMC, and Sundance Channel. She is proud to hold a BA in Film Studies and English from Mount Holyoke College and recently completed an MA in Cinema Studies at NYU Tisch School of the Arts.